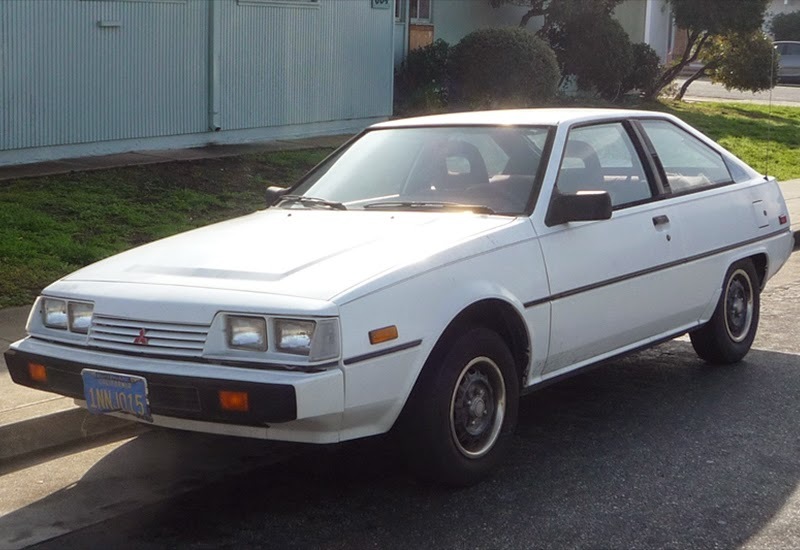 The Mitsubishi Cordia is a compact hatchback-coupé that was built by Mitsubishi Motors from 1982 to 1990. Its name is supposedly an amalgam of "cordierite" (a lustrous mineral) and "diamonds" from Mitsubishi's Three Diamonds logo. Alongside the Tredia and Starion, it was one of the first cars imported and sold to America by the company without the involvement of its then partner, the Chrysler Corporation. In Japan, the version sold at Car Plaza retail chain was called Cordia XP, and the one sold at Galant Shop chain was called Cordia XG. The XG had a somewhat smaller front grille. 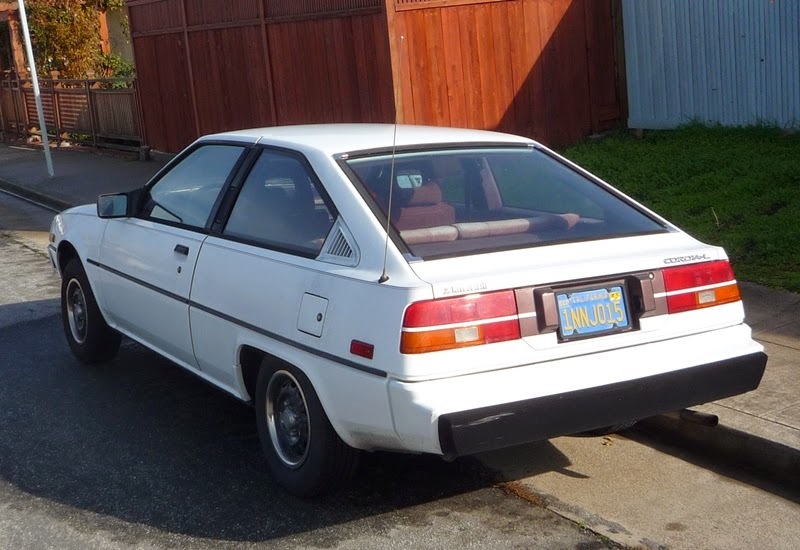 Designed to fit between the existing Galant and Lancer models to increase the overall lineup of passenger vehicles, the Cordia and Tredia used front-wheel drive and were similar in design to the contemporary Mirage (although larger). They incorporated a MacPherson strut/beam axle suspension, front disc brakes, manual or electrically controlled automatic transmission, and a choice of three engines: a 1.4 litre rated at 68 hp, a 74 hp (55 kW) a 1.6 litre, and a 112 hp (84 kW) turbocharged 1.6 litre. Some export markets also received a carb-fed 110 hp (82 kW) 2.0 litre. A USA version of the 2.0 litre generated 88hp for the 1984 model year. The cars were given a mild facelift in 1983, and four-wheel drive was offered in 1984. The engine range was overhauled in 1985 to allow the cars to run on unleaded fuel, including the introduction of a 1.8 litre engine in both 100 hp (70 kW) naturally aspirated and 135 hp (101 kW) turbocharged form, before production was discontinued in 1990. 1988 was its last year in the United States. 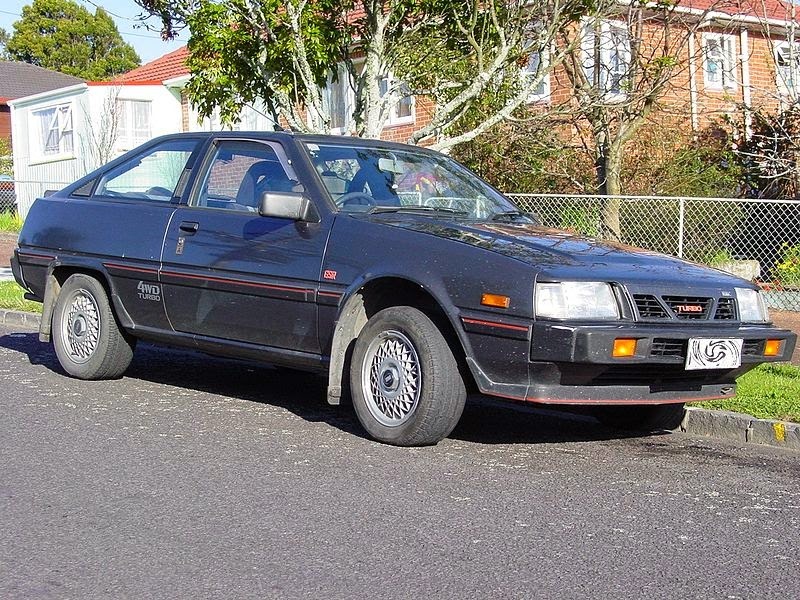 The Cordia was assembled, alongside the Tredia on which it is based, in New Zealand by Todd Motors, later Mitsubishi New Zealand. The cars were imported as CKD kits and were built with about 40% local content including glass, upholstery, carpet, wiring harnesses and radiators. Both normally aspirated and turbocharged versions were made. All models were initially 1.6-litre but the normally aspirated model was later changed to a 1.8-litre engine at the same time as the original 4x2 'Supershift' manual transmission was changed to a conventional five-speed gearbox. Normally aspirated models were also offered with a conventional three-speed automatic gearbox. Last updated on 10 June 2014 at 18:03.